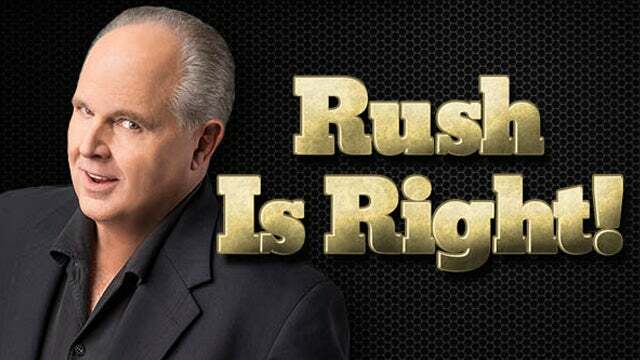 RUSH: Rush Limbaugh and the one and only Excellence in Broadcasting Network. As always, I proudly and happily engage here with talent on loan from God-d. A delight to have you here. I gotta tell you, I love getting up every day knowing what's ahead of me. It still is a thrill. You know, I have people asking me, "Well, how much longer are you gonna do this?" You know, most people asking me this look at what I've done and they think, "My God. I'd be tired of it by now. For crying out loud." I said, "It's probably, on balance, three of the most consistently satisfying hours of my life, of my day. Why would I want to give this up?" You know, I've tested it. I've taken two-week vacations once or twice. I really can't do that much for some business reasons. But I have to tell you, after one week -- and sometimes even before one week -- has gone by, I feel like (snort) purposeless. I feel worthless. I feel like I'm losing my identity. It's like Tom Brady after the Super Bowl. What is this, his fifth one or sixth one that he's won, and they said, "So, are you thinking about this is it?" He looks around at the stadium and the crowd and the festivities. "Why would I want to give this up? Why would I want to walk away from this?" There's always a question that successfully people get: "Well, so, when are you gonna quit? Why are you gonna hang 'em up? When are you gonna walk away?" With athletes, the question is usually related to age. For me, I just can't imagine anything else providing as much satisfaction, contentment, or even happiness on so many levels. So never take for granted that I take for granted that you are here daily. I was talking to our last caller about President Trump, and I made the observation that I think -- we'll probably never know for sure. But I think a lot of people have had a long-time opinion of Donald Trump that's less than stellar based on what his public persona and public image have always been. A tabloid denizen. Page Six tabloid denizen. Sensational news. Seeking publicity in various pursuits and so forth. Somebody that has, in some people's estimations, been clown-like or superficial. We don't know who the real guy is. He's constantly angling to get noticed. I think people have had that view, and even people who are prone to supporting him are probably having second thoughts about it. I'll tell you why. You know, and the best way to illustrate this is my wife, Kathryn. The thing that... When his name comes up, the thing that seems to have made the greatest impact on her is he doesn't have to do this. He didn't have to do this before he did it. He was happy and successful and had the life he wanted even before he did this. He's 70 years old when he starts this, he's 72 years old now, and what has doing this gotten him? Well, yeah, he's president. There aren't very many people who've done that. But he had his own jumbo jet. Air Force One's in a class by itself. He had palatial residences all over the world. He could go anywhere. He had security. He had all the trappings the presidency has minus the power. Now he has the power. But the one thing he has now that he's never had is concentrated, relentless hatred and destruction aimed at him -- and he hasn't changed. He has not caved a single time to any of it. In fact, he keeps doubling down. We noticed this about him during the campaign. If he said something that people found unacceptable or controversial, the next time he added to it he would double down and tick them off even more. He's got people on his own staff, apparently, who are leaking, like the schedule data that just recently leaked. He's had people leaking against him, some of his closest aides from what I know (not many, but some), and certainly people on the periphery in the White House. There are a lot of people there that have been trying to do him great personal and professional harm. It has not embittered him. He just keeps plugging ahead. Look at the 92% media coverage negative -- and, folks, that is significant. Ninety-two percent is practically 100% of the coverage he gets is hatred! It's lies! It is massive distortion! It is personal destruction! He didn't get this kind of media before he started this. He got a lot of media. Much of it in New York was fawning and supportive, lovable. He runs for president. He's never been a racist, a sexist, a bigot or any of these horrible things. Not seriously. Now he is all of those things, and it's obvious that he's not doing what he's doing for personal approval. He's not doing what he's doing to be loved. He's not doing what he's doing to be liked, 'cause that ain't working. Well, he's liked by his supporters. Don't misunderstand. But people that want to be liked want to be liked by everybody, like Obama, like Bill Clinton, and they'll focus... The thing about Clinton and Obama is if they were in a room of a hundred people and just one or two of the hundred people were known critics, that's who Obama and Clinton would gravitate to, to try to change their minds, to try to find out why those people don't like him. Trump cannot care less. His agenda is genuine, it's legitimate, and he is legitimately, genuinely committed to it. And whatever they throw at him -- people in his own party, people who think they're smarter -- he's outlasted them all, and in many cases he's rendered them irrelevant. You look at some of these Never Trumpers who used to have magazines. They're out of business! They went out of business opposing Donald Trump. They went out of business so fast that they started doing cruises! They would sell cruises with expert lecturers on the cruise. Those bombed out. The magazines went defunct. All of these people supposedly smarter and brighter and more experienced and more intellectually equipped, all of them have been rendered (and they know it) irrelevant. Nobody is turning to them to death what to think. The people that did turn to them to find out what to think were shocked and dismayed. When they see Donald Trump implementing agenda items that all of these people have supposedly devoted their lives to, and these people hate it? These people still hate Trump? Even though whatever the policy they've supported, Trump is implementing, that didn't convince them? That didn't turn 'em to supporters?" People said, and they were right. My point is that I think it takes a lot of character to withstand the kind of heat that Donald Trump gets. I'm just gonna tell you that in my lifetime, I've only seen two people -- legitimate people -- get this kind of heat, Richard Nixon and Ronald Reagan, and I think Trump has gotten it much worse than either of them. It is relentless, and it never stops. His approval number out today at 52% is owing to the fact that he has not succumbed to any of it. There is -- and I don't think any of these people I'm talking about would ever admit it. But there has to be a begrudging respect, and there are a lot of people in the media, the Never Trumpers on the right, who are privately asking themselves, "Who is this guy? What...? Why...?" 'cause it doesn't compute. People like this, they have been able to humiliate, take out, embarrass, destroy, persuade, what have you. Not only have they not taken Trump out, he has not even responded. He has not made one move to try to make them like him. He has not extended overtures to them to soften them up. He has not asked them to join his administration -- which really ticks some of them off, by the way. (interruption) Oh, yeah! I'm not kidding. They expected... Many of these people expected to be hired after the election because, "Hey, it's politics! During the campaign, we all say what we think. We get ourselves on the record. But after the election's over, he should want the best and brightest." Why should he want people who wanted him to fail? He's got enough trouble dealing with saboteurs. 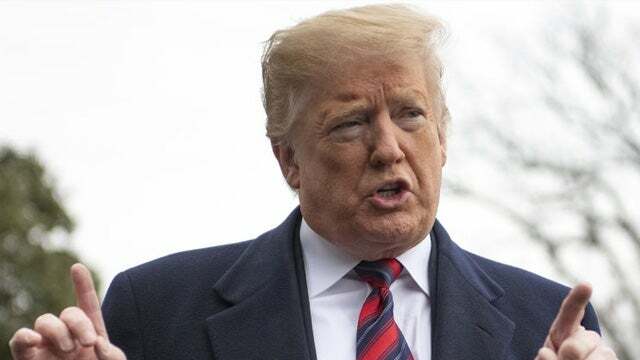 He's got an independent counsel, he's got the Department of Justice and the FBI leadership from the Obama era trying to run a silent coup on him. And even that he still gets up and smiles and laughs and has fun with these people day in and day out. It's got to be driving them crazy. My point is that I think it takes a profound character to be able to put up with this, to not be distracted or deterred by it, to not be destroyed by it, to not cave partially or totally to it. It takes commitment. It takes a genuine belief in who you are and what you believe and what you think is best. And it takes a lot of courage. 'Cause I'm telling you, the forces that are arrayed against Donald Trump are some of the most powerful in this country. And he’s just driving all of them batty and driving them to various degrees of insane. RUSH: Here's Dave in Harrisburg, Pennsylvania. Welcome, sir. You're next. Hello. CALLER: Hey, Rush, I want to talk about this Rasmussen poll a little bit. What I think really has got to have the Democrats terrified is they know that they over-poll Democrats and under-poll Republicans -- and also, Republicans tend to even be afraid for whatever reason to tell the truth in these polls. When you combine that with this Star Wars bar scene of candidates they've got in 2020, they've gotta be terrified of their chances to take him out. RUSH: Well, I think... (sigh) I don't know if they're terrified right now. It's early, and I think... I get your point about polling data not accurately representing Republican strength -- and for the most part, that's true. Except Rasmussen is not a polling company the left pays attention to. I mean, they'll see it, and they'll see 52%. But they'll react to that the way you and I react to an NBC/Wall Street Journal or ABC News/Washington Post poll. We'll kind of discount it because we think it's biased. That's what they will think of Rasmussen. They'll note it, but they won't particularly believe it. They're also at the stage now... Remember, in their minds... These people are not connected to us, folks. They're not... They live in a dreamworld, a made-up world -- and in that world, everybody hates Donald Trump, and it's just a matter of time. Mueller is going to prove that Trump colluded. And if that's doesn't happen, Michael Cohen is gonna testify that Trump told him to make a deal with the Russians. And if that doesn't materialize, then the U.S. attorney, Southern District of New York, is gonna indict Trump and the campaign organization for money laundering or what have you. If that doesn't work, Adam Schiff is gonna get Trump's tax returns and they're gonna prove that Trump colluded with Russia. They believe one or all of these things is going to happen. They are so convinced that right now, 20 Democrats have announced for the White House, including six women, four of them United States senators. In their frame of mind right now, they are so guaranteed of defeating Trump that everybody on the Democrat side that's ever dreamed of being president is gonna try. 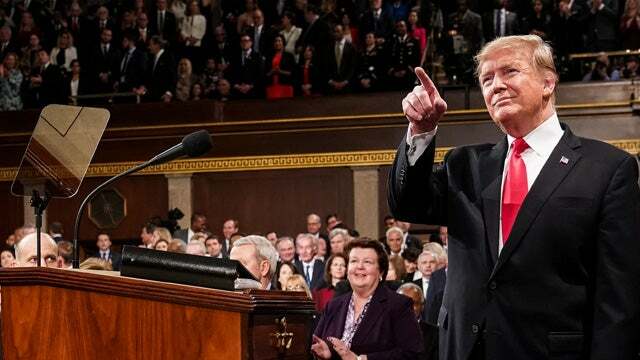 If they thought Trump really was next to unbeatable, if they thought Trump was cruising to reelection, then they would coalesce behind the one candidate they thought had the best shot of defeating Trump. But if you're asking yourself, "Why are so many running?" it's because they all think the Democrats are gonna win in a landslide like should have happened in 2016. They're gonna get it right this time because there ain't gonna be any Russian collusion. There isn't gonna be any cheating. There isn't gonna be any of this stuff. They're gonna have a better candidate than Hillary was, and since the Democrats are such a lock that every one of them that dreams about it is getting in the race. These people are... As I say, they are not in any way connected to the people that elected Donald Trump. They are not connected to the 52% who approve of Trump's job performance -- and when I say not connected, they literally are not connected. Those people don't exist. They don't try to connect to them; they write them off. They don't think the number's 52%. They think Trump's base is maybe 40% tops. They are spending every waking hour trying to drive a wedge between Trump's voters and Trump, and they think they're succeeding. They are not living in reality right now. I know some of you think, "Rush, they know there wasn't any collusion. They're just..." No, no. No, no, no. Some of them, maybe. But I'm telling you, folks, these people are lost in this make-believe world that they have created that explains Trump winning. They have been knocked senseless. They haven't gotten over it, and they still don't think it's legit. So in the world they live in, Trump is a poser. He's not legitimate. And in their world, the whole country thinks this, and the whole country knows this. So it just is a matter of time here until order is established and the Democrats are once again running things. I think one of the reasons why they are so open now about their post-birth abortion beliefs and their open borders beliefs is because they believe that that is the majority position. The one thing arguing against this – and I could be wrong -- is the way they panicked over Alexandria Ocasio-Cortez' Green New Deal. They yanked that puppy off of her website faster than she could blink her eyes , which takes a while, from what I've seen. Have you noticed how long it takes her to blink? Well, there's a lot of ground to cover there. Anyway, getting rid of airplanes and paying people even unwilling to work, those two things went a little bit too far. They yanked those out and claimed it’s a Republican trick. That that was never Cortez's plan. But it was Cortez's plan all along and she yanked it away. But I'm just telling you they're not at the stage yet where they think they're gonna lose. They're not anywhere near a position of panic over the fact that Trump is going to win reelection in 2020. Do not doubt me on this.